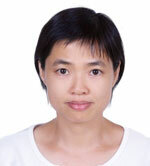 Marian Lin is a graduate of the Foreign Languages and Literature faculty of the National Chung Hsing University, Taiwan. She has been responsible for translating a number of articles from Creation magazine into Chinese. She and her husband, David, live in Taichung, Taiwan.